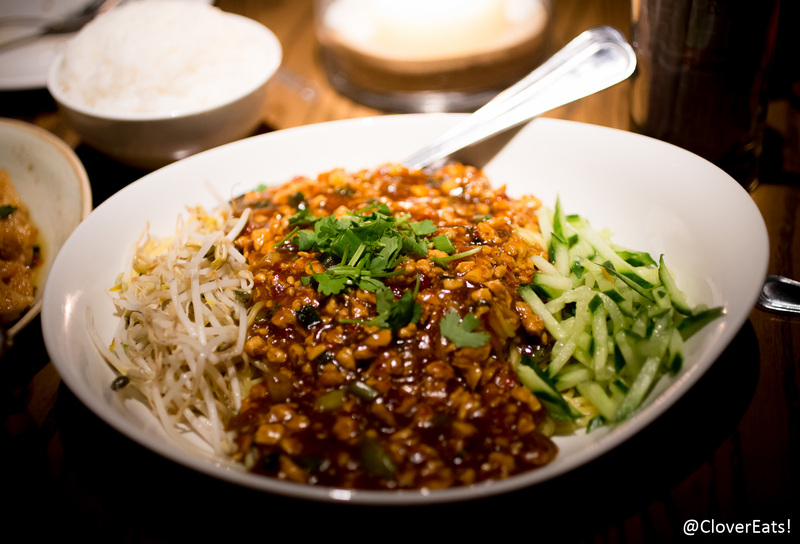 CloverEats: P. F. Chang’s in Ann Arbor | Clover Eats! A P.F. Chang’s and Bravo! 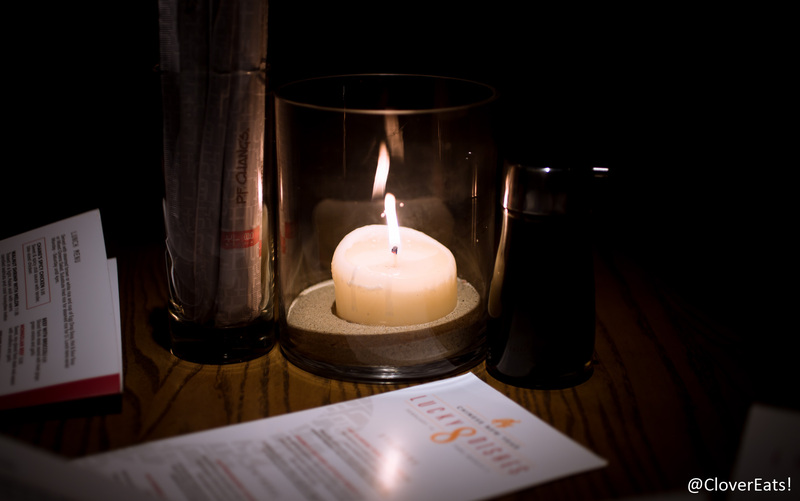 recently opened up by Briarwood, giving some nice food options that are perfect for a post-shopping meal. I’ve been to a few P.F. 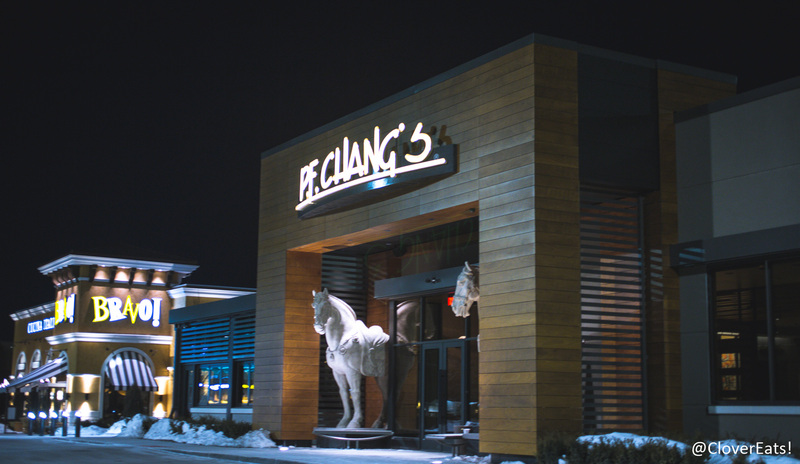 Chang’s before in the Chicago area, and always enjoyed myself, and so looked forward to checking out the new addition. We were able to get a table for two on a Friday night without a wait, which was really nice. Plus, parking by the mall is much easier than trying to find parking downtown. I really love the atmosphere at P.F. 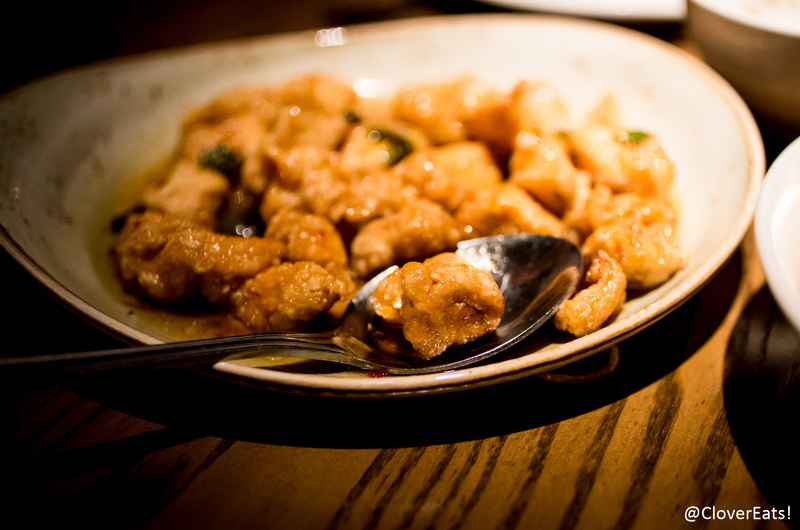 Chang’s. It’s very comfortable, yet not too dim; very nice mood lighting. I loved the giant backdrops of trees and traditional painting, as well as the large horses and terra cotta soldier statues. 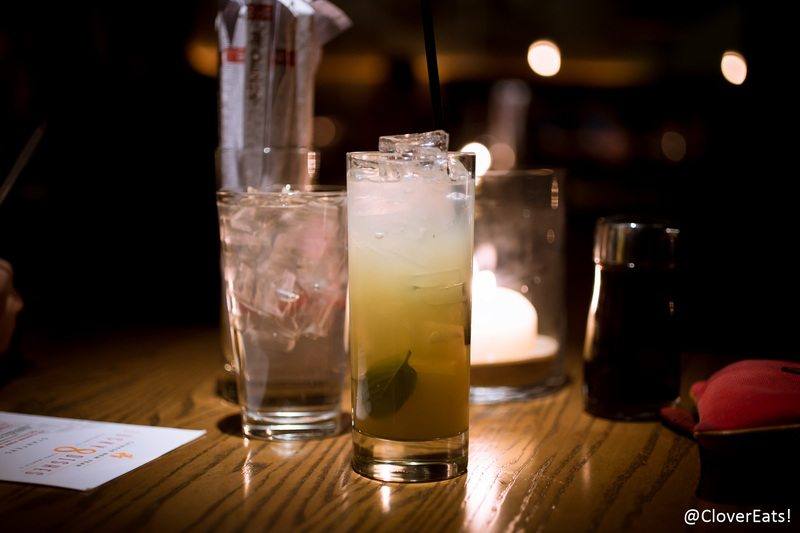 We started off with a yuzu ginger mojito, which was very gingery. Yuzu is always so refreshing, but it didn’t have a very strong presence in this drink. We got the four-course prix-fixe menu for two. At $39.95, it was quite a good deal, as the entrees we were eyeing, plus dessert, would have easily added up to higher. 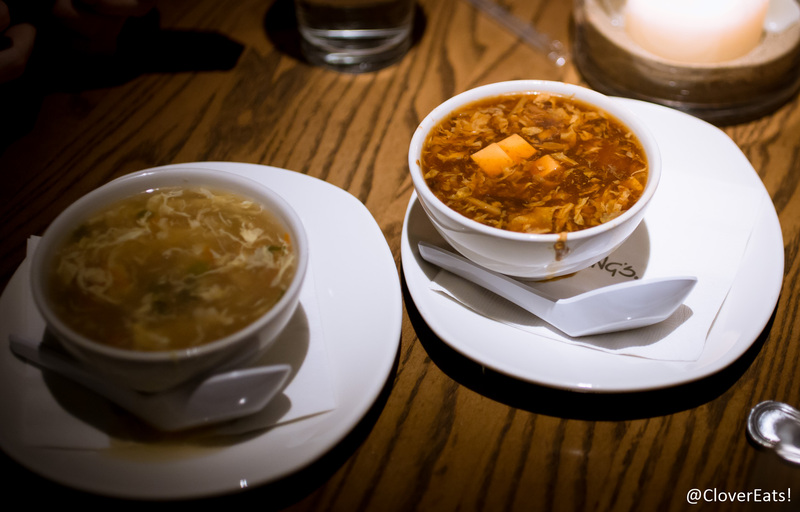 You get to choose two soups, a starter, two entrees, and a small treat. We got one hot and sour and one egg drop soup. Very typical of the usual soups you can find in any Chinese restaurant, but made with higher quality ingredients. 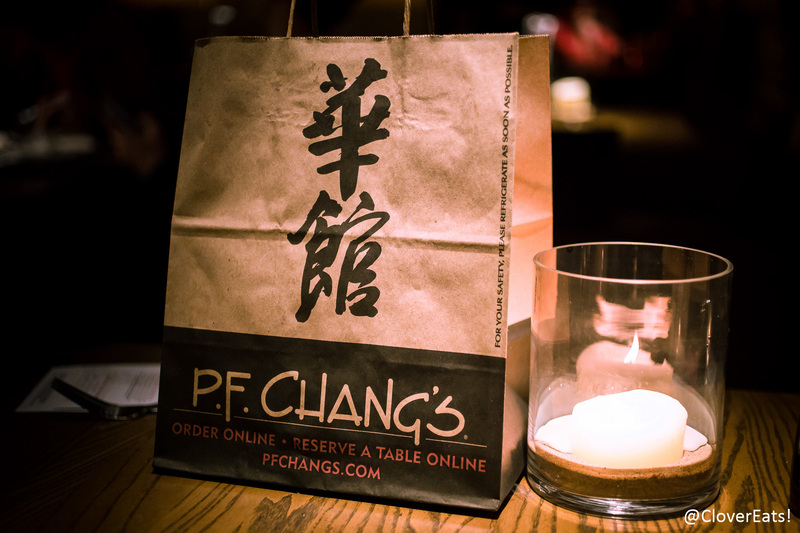 Unfortunately, many of your Chinese takeout places can have questionable restaurant hygiene, but P.F. 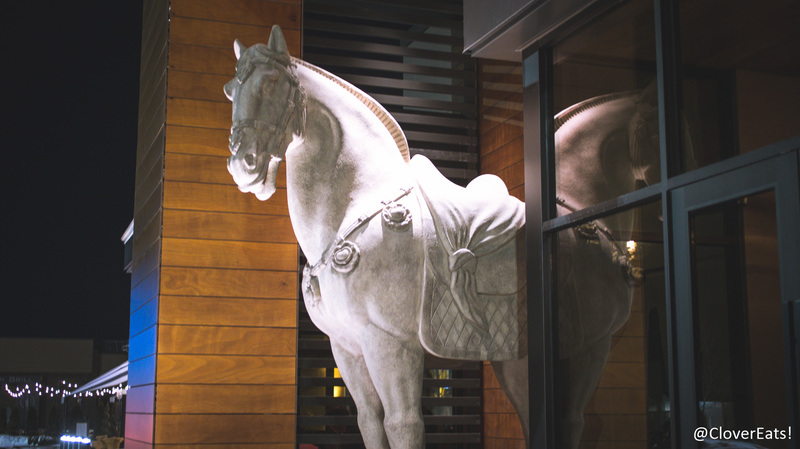 Chang’s definitely elevates that type of food to a classy affair. 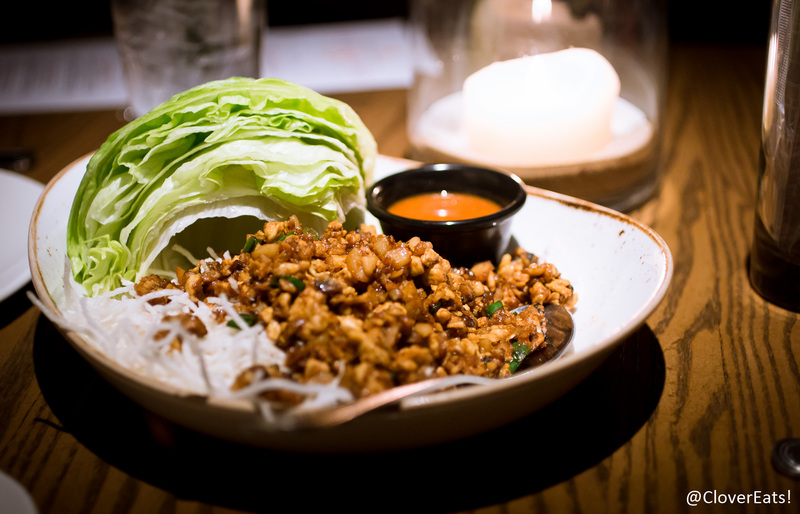 We got the famous Chicken Lettuce Wraps. I remember loving these when I was younger, but this time, while technically good, weren’t something I kept reaching for. I was pretty satisfied with just one lettuce roll. I got the Dan Dan Noodles, a traditional noodle dish with spicy chili/garlic sauce, chicken, cucumbers, and bean sprouts over egg noodles. The noodles had, to my surprise, a fantastic doughy texture. However, the flavors weren’t as amazing as the texture. Luckily, the portion was so huge that I was able to take most of my dish home with me, where I plan to add more seasonings that I enjoy, to make the best use of such delightful noodles. Fred got the Spicy Chicken. Boxed on the menu, it represents one of the house specials. It was your usual sweet and spicy chicken, although the quality of the chicken is definitely better than what you’d get across the street in the mall at Panda Express. Fred voted for this as his favorite part of the meal. For dessert, the chef was kind enough to let us try one of each wonton, which you usually aren’t allowed to mix/match. 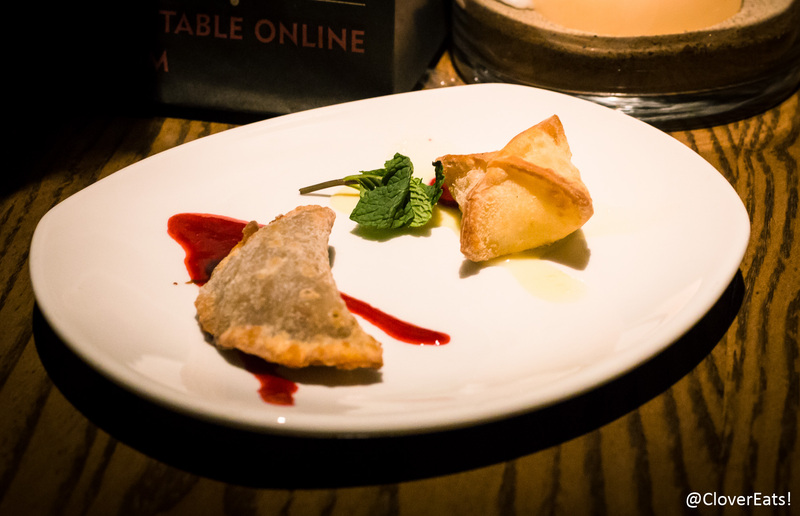 The chocolate raspberry wonton was already very good, but the sweet vanilla cream wonton was simply amazing. Warm vanilla cream cheese bursts out of the perfectly crisped shell, with just a bit of raspberry sauce – I would come back for just another bite of this dessert! Overall, a really nice atmosphere, some tasty treats. 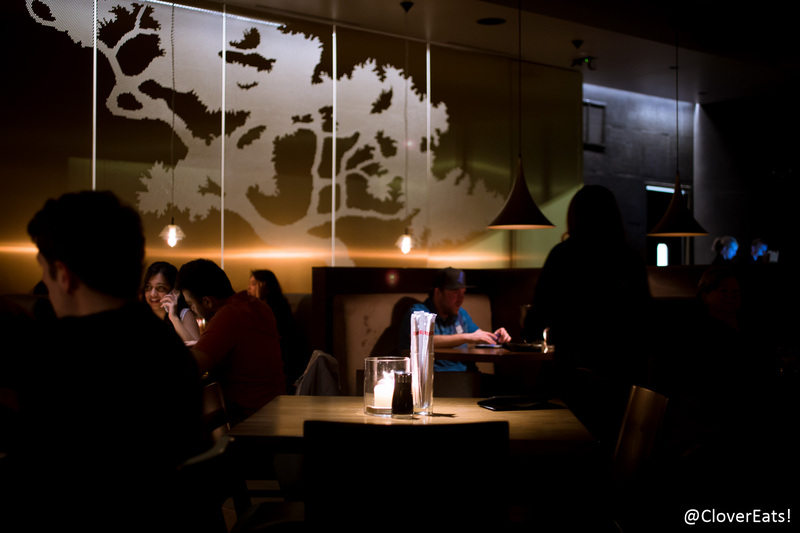 However, given its chain roots, I feel that the food is somewhat uninspired, and lacks creativity and flexibility. It certainly exceeds any minimum expectations, and I bet they’re awfully consistent. Check them out on Yelp or at their website!